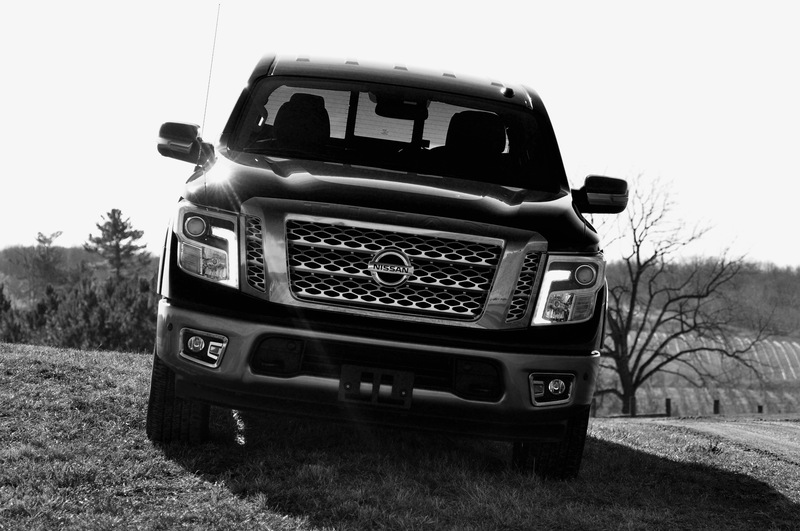 The 2017 Nissan Titan is a strong contender, with a lot more power, a plethora of new features, its comfortable and perhaps the most attractive part is that it has the best warranty among the competition. 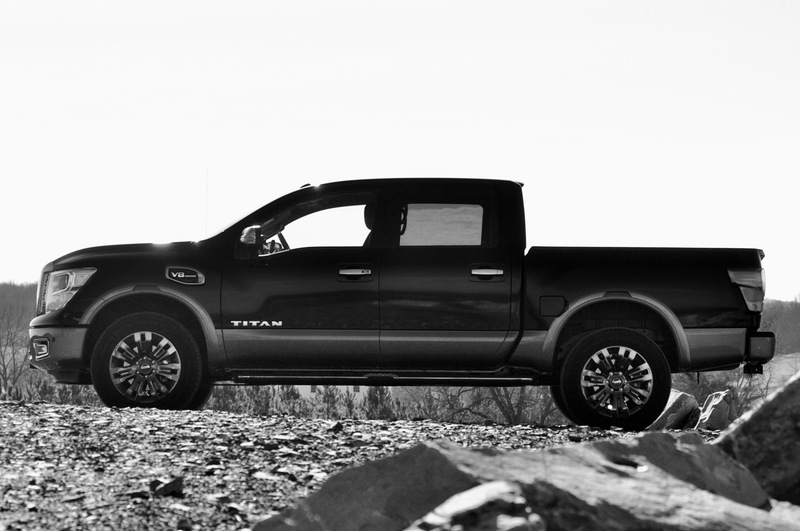 The second-generation Titan takes on the competition with an ostentatious design, with a beastly V8, and a chrome trim. The list of features offered by the Titan Platinum Reserve not only makes it a worthy match but beats the best at their own game. We were impressed with Nissan’s latest 100,000-mile warranty coupled with a unique five-year bumper-to-bumper warranty. If anything, this beats the competition all of which only offer standard protection which covers either 64,000 miles or two years, whichever comes first. The warranty covers the version with the V8 gas engine as well as the 2017 XD with the V8 Endurance gas engine or the Cummins diesel engine. 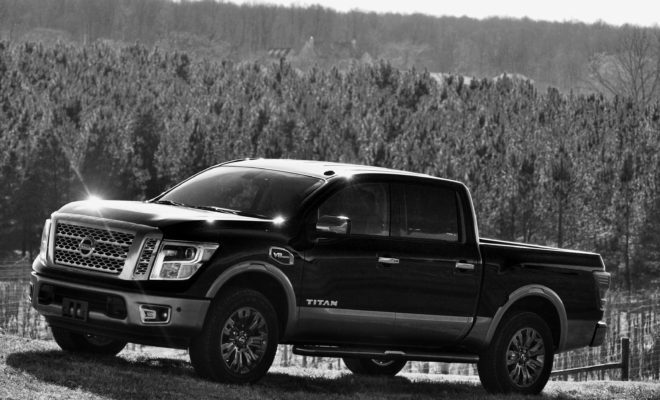 The Nissan Titan Platinum is still made locally in Mississippi and like the previous model employs the same yet slightly tweaked 5.6-liter V8. 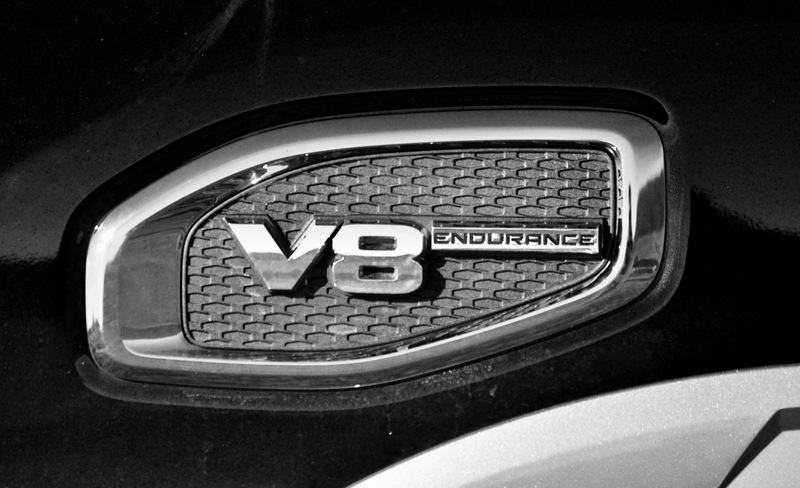 The improved V8 delivers an impressive 390 horsepower compared to the previous gen’s 317hp. Plus, it produces 394 lb-ft of torque compared to the 385 lb-ft of its predecessor. The fact that the seven-speed automatic transmission shifts in a mere whisper mean that you’ll barely notice it. The excellent throttle response is evidence perhaps that Nissan has been working extensively under the hood of this beast. The Bilstein shocks in the rear and front help to absorb the vast majority of bumps on or off the road. Also, thanks to the hydraulic cab mounts, you’ll hardly feel any vibrations even on rough country roads. Everything from the sound to the throttle response adheres to the expectation of an American V8 engine. Though it’s not fair to compare it with Ford’s V6 powered turbocharged F-150, clearly that’s matched by Titan XD. The latter is a much heavier truck, with obviously much more towing power. 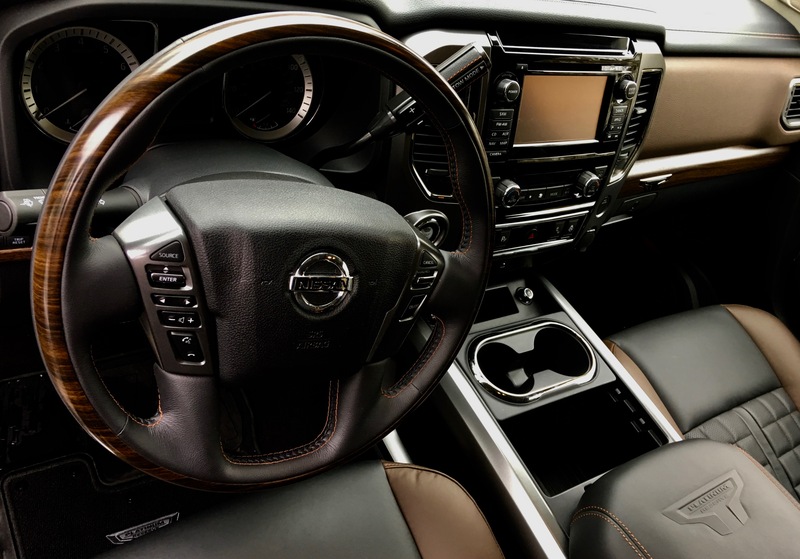 Where the 2017 Nissan Titan Platinum Reserve shines is finding middle ground if you may between the half ton trucks and those categorized as HD. 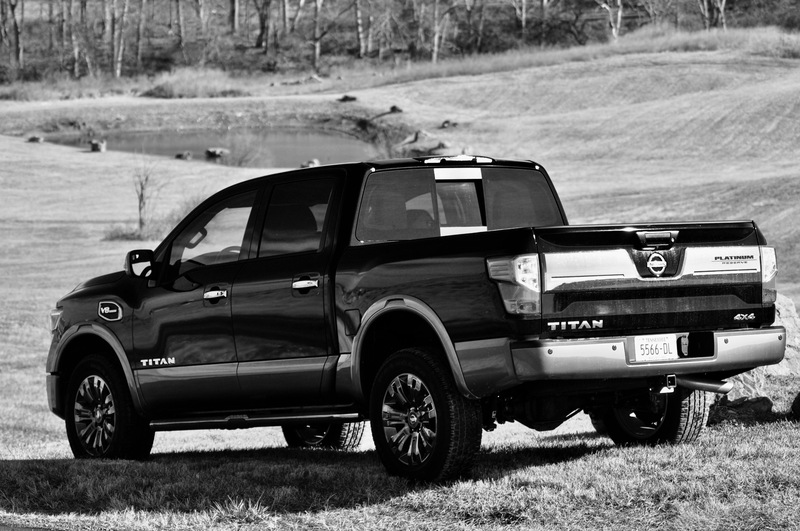 The Titan’s towing is rated at 9,230 pounds, with a payload of around 1,610 pounds. The Titan XD though maxes out at 12,314, and 2091 pounds of pulling power. Now compare that with the F-150 SuperCrew’s towing capacity of 11,900 pounds with a payload of around 1,570 pounds and the Nissan is a force to be reckoned with even by the F-150. The Platinum Reserve trim comes with dual zone climate control which can also control the temperature of the front seats, with heated rear seating. Plus, the feel of a heated steering will take the edge off after a hard day’s work. Four heated outboard seats and a Rockford Fosgate audio system complete with a 12-speaker setup coupled with a standard seven-inch touchscreen makes it perfect for long journeys. The powered telescope steering wheel and the around view monitor gives it an aura of comfort and class. If anything, the lack of road noise and vibrations will make you forget that this is a truck’s cabin. In classic Titan style, the rear accommodations are enormous, and that’s something fans of the class have come to expect. It can comfortably seat three people across and even five! We love the front seats as they are not just comfortable but if there were a word to describe beyond comfort, then this would be it. Perhaps the only itsy-bitsy complain we have is with its forward visibility which seems to be slightly constricted by the dipping roof. At the official $39,005, the Titan Platinum Reserve is a solid contender especially against much more expensive counterparts like the F-150. If you’re looking for comfort, lots of features and a warranty you can take to the bank then this is an excellent choice for the money. Though we’d advise adding the SV trim for $2,890 if you have the budget.